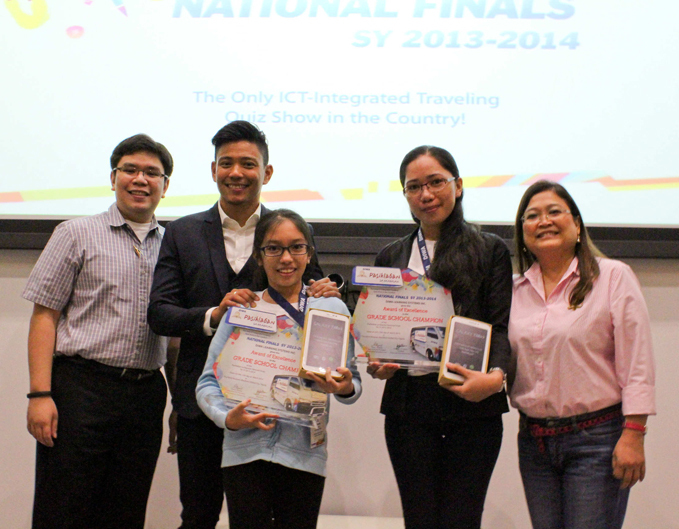 Samantha Amante from Colegio San Agustin in Biñan, Laguna won in the high school division while Jo Dee Salise from Rainbow of Angels Learning Center Inc. in Butuan City won in the grade school division of Pasiklaban sa Paaralan National Finals for school year 2013-2014. Taking first runner-up and second runner-up spots in the high school division are Ramon Galvan III from Huang Siong College of Iloilo and Star Lim from Misamis Union High School respectively. Grade school first runner-up is Daemian Johan Cesa from St. Joseph College-Olongapo Inc., and second runner-up is Vien Vincent Viloria from Centro de Cultura, Inc. in Cauayan City, Isabela. 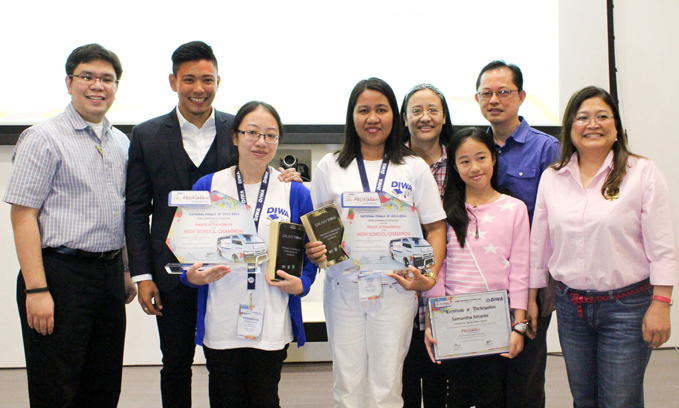 The Pasiklaban sa Paaralan National finals was held last March 15 at The Mind Museum, Bonifacio Art Foundation Inc., Global City, Taguig. With Quizmaster Drew Arellano, the one-day showdown brought together some of the brightest students from all over the country to test their knowledge in Science, Math, Languages, Literature, and General Information. Since it began in 2009, Pasiklaban has brought its unique and exciting style of fun learning to more than 200 locations as far as Laoag City in the north and General Santos in the south, and to more than 2000 schools. To date, roughly around 5000 students have participated in Pasiklaban. While proud to be the only high-tech travelling quiz show in the country, Pasiklaban never stops to look for ways to improve the experience of its participants and spectators through better technology, format and program. Pasiklaban sa Paaralan is organized by Diwa Learning Systems Inc, the country’s leading source of print and digital educational resources. Diwa has established its name in the publishing world as an unstoppable force in providing Philippine schools with innovative ways to access 21st century education and K to 12-ready tools. Pasiklaban is one of the ways Diwa lives up to that monumental reputation. To learn more about Diwa and its products and services, log on to www.diwa.ph.